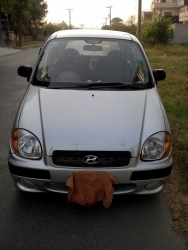 Car in Very Good Condition, Engine 100% Ok and very good performance on both Petrol and CNG, Alow Rims, USB Tap, Complete Documents, Tax Paid Dec-2018. 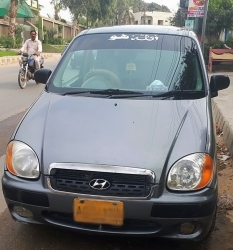 aslam.o.alikum mane apni car sale karne hai . lcd.back.camera.mp3.plyar.engien new kar waya ha 1 mah howa ha abi cng.petrol aloyrim new tyar bridgeston.165.165.r13.sentrel loacking.remote kit gari bumper to bumper orginal ha engine 110 parsent ok ha jese marzi chek karo apna mecinic leke ao gari ma kisi bhe tarha ka koi kam nahi. 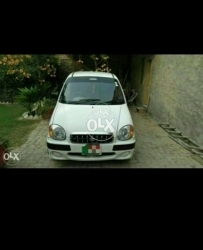 home used car ha token 2019 may tak paid ha gari me name pa ha return file bhe ha orginal number plates ha Lightweight allow rims. Everything is in genuine condition. Complete original file is availble. Petrol driven, CNG never installed. Exchange option can be considered. CNG Installed from factory. Brand new tires installed. Original Book is available. Engine in pristine condition. 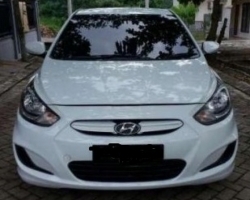 Looking to sell the car urgently. 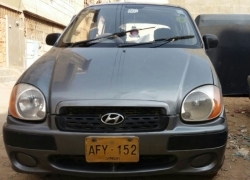 Used By = Family Driven Maker = Hyundai Make = Santro Club MXL * Color = H-Gray Horse Power/Engine = 1000 Cc Seating Capacity = 5 Persons Fuel = Petrol * Year = 2004 * Registered in = Lahore. 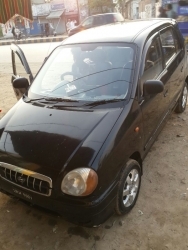 No of Doors = 4 Door Brakes= Front: Discs, Rear: Drums Gear Box= 5 Speed Transmission Type = Manual Steering Type= Power Tyre Type= Tubeless, Radial Fuel Tank Capacity = 35 L Suspension = Front: Tube Shocks and Coil Springs, Rear: Tube Shocks And Coil Springs * Price Is Slightly Negotiable * Never Been Into Any Accident (Non Accidental Vehicle) * Also Willing To Exchange with another Car * The Car Was In the Use of an Army Officer * Lifetime Token Tax Paid * All Taxes Paid * Just Like a Zero Meter Car (Good Engine & Mechanical Condition) * Original Documents/File * Whole Tires are Recently Changed (Brand New Whole Tires Installed) * Alloy Rims Installed * Complete Original Paint. Entertainment Features = 4 No of Original Speakers (Front & Rear Speakers), Radio, Audio System Remote Control, USB & Auxiliary Input, Connectivity Additional Features = Heater, Cigarette Lighter, * Air Conditioner (Ac in Excellent Condition) Fog Lights Installed * Government of Pakistan, Punjab Number Plate Installed * Car Service, Battery Tuning, Engine Tuning, Plugs Change, Oil Change Recently Performed. 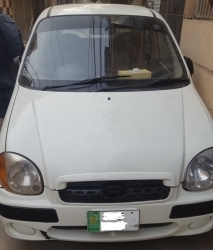 Santro Model 2006 Club Series, A/C, CNG, Pertol, All things are in working condition, Tax Paid upto Dec, 2018, Original Number Plates, Tikli, car is in my name, exchange possible only with Every / Hijet Model 2011 onward, please contact : 0 3 4 5 3 2 3 6 8 0 9. 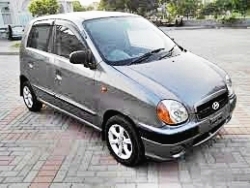 Hyndai Santro Club Fully modified sport car model 2005 registered in December, almost 2006. With Vitz automatic Engine 1000cc, EFI Engine is in excellent condition, fully automatic with great pick and speed. Both on CNG and Petrol. Very low fuel consumption. Good interior and exterior. With special power sunroof. Everything in good condition. Special Sports seats installed. Multimedia, Woofer, Speakers with big amplifier installed. Life time token tax paid. Computerized number plates, Rawalpindi Registration. AC & Heater working good. 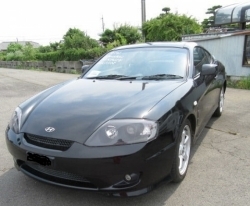 Non Accidental Car Unique Features: Special Alloys Rims, Power Steering, Power Windows, Power Sunroof, Key less entry, Remote Engine start & off, Central Locking with Two-way alarm system, anybody touches/shakes the car alarm is received on remote and car alarm is also triggered. People who are fond of Modified sports cars will love this. Car is in Use and no work needed except a little paint touching. Car registered on my own name and can easily be transferred. 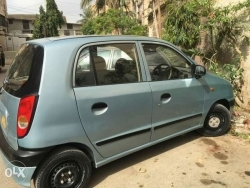 Santro Club 2008 in a very good condition. I need to sale on urgent basis.